Everyone knows about Shaun White — who can forget his masterful demonstration with Nintendo’s Cammie Dunaway at E3 this year for the Wii version of Shaun White Snowboarding? And of course, he’s a world famous snowboarder, too. 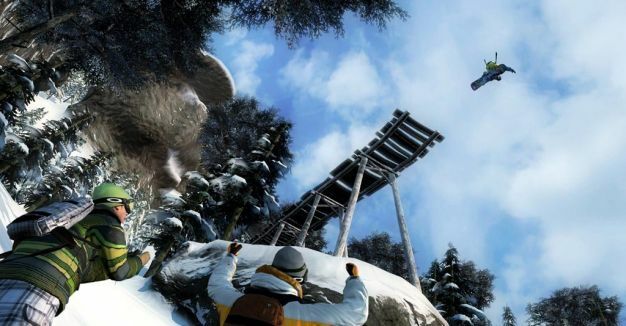 But l33t snowboarding skills apparently don’t translate into equivalent marketing skills as he let it slip to Reuters that a sequel to his game is already in the works. “Now that I have the knowledge and I can speak to programmers better and I understand a lot more about what’s possible and what’s not possible, this will all help with the next game,” said White. Apparently nobody told him that he probably wasn’t supposed to say that. And Ubisoft isn’t talking, either, as they “have not announced any plans for future projects with Shaun.” The statement alone doesn’t indicate that a sequel is nor isn’t in the works, though perhaps a crash course in marketing is in order?